This month's issue of Dental Products Report will feature my annual Top 5 Test Drives. Every year I get to tinker and test with a number of technologies that I get to see before deployment to the industry at large. DPR gives me a chance to discuss my favorites every December. If you're looking for the latest & greatest that our proud profession has to offer... don't miss the December issue! NOMADTM Handheld Intraoral X-Ray Device. The winner will be able to take exceptional images faster and spend more time with patients using the NOMAD Handheld Intraoral X-Ray Device. The NOMAD X-Ray system improves radiography convenience while allowing for quick image acquisition and minimizing the frustrations of wallmounted arm drift and retakes. HELIOS 3000 Dental Light and installation. The Helios 3000 continues to lead the market with the ultimate LED performance. The winner will greatly benefit from this cutting-edge technology that enables color mixing, a no cure setting, and a crisp 3” x 6” light pattern that illuminates only where you need it to. This dental light offers optimal efficiency to help save energy and lifecycle costs. The Helios light requires specific mounting configurations, the cost of which is included in the auction. Luxury suite for 12 at Washington Capitals NHL Game. Winners will enjoy a fully furnished private suite for 12 guests to watch the Washington Capitals play the Detroit Red Wings on Saturday, January 10, 2015, at 7 p.m. This private suite at the Verizon Center includes theater style seats, a private lounge with two flat screen TVs, and a private restroom. Snacks and beverages will be provided. Dinner for 6 at CityZen, The Mandarin Oriental Hotel, Washington, DC. More than just dinner, this is a sensory experience in modern American cuisine created with flair at award-winning CityZen. Food & Wine magazine has called CityZen “one of the hottest restaurants in the world.” Good for any Friday or Saturday in January 2015, for up to 6 guests. A choice of handpieces from KaVo. The The KaVo handpiece collection is the market’s leading brand, offering superior performance, quiet operation, and durable quality. The winner can choose from the following award-winning air or electric highspeeds: MASTERtorqueTM M8900L, MASTERtorque Mini M4500L, or GENTLEpowerTM LUX 25LPR. All event proceeds will be allocated to smile-saving programs for vulnerable children across the country, and every participating dental practice will receive access to free marketing and outreach tools. pediatric dental disease, facilitating the delivery of comprehensive oral health services and eliminating this preventable disease from future generations. With a growing Affiliate Network of exemplary non-profit community programs, Kids Club, and professional and student service programs, America’s ToothFairy is building a powerful, united effort to eliminate tooth decay and protect the smiles of vulnerable children. Since 2006, America’s ToothFairy has distributed more than $14 million in vital community-based programs, educational materials, oral care products, and financial grants. For more information, please visit www.ncohf.org. 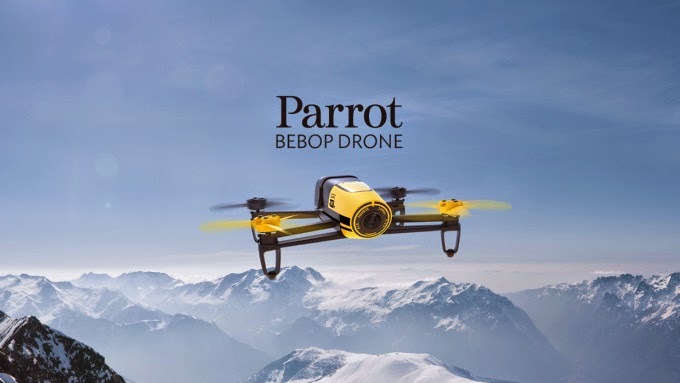 The latest offering from the drone company Parrot is now available. I *love* open source! To that end, we are about to start testing a new CAD/CAM one visit restorative system in my office. Say hello to the TS 150. The mill was developed by Glidewell labs and is created to do inlays, onlays, and crowns. The best part? The TS 150 is open source. That means that it will take files created by our iTero scanner. The iTero files are then opened in IOS FastDesign software. This will allow us to design the restoration. Once the design process is complete, the design is sent to the TS 150 mill that will then take a block of restorative material and mill out the final restoration. 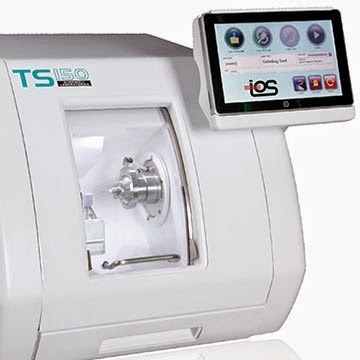 Since it is open source, the TS 150 will accept files from the iTero, the True Definition Scanner, and others. We'll be receiving training today and will actually start milling restorations in the afternoon. For more info, check out this from Dental Products Report. Is Google Glass Already DOA? 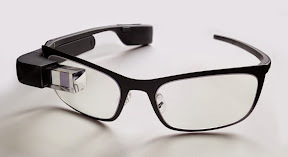 It doesn't seem that long ago that Google Glass was the darling of the tech world. Remember that? However since then it seems that Glass has just flat out fallen off the radar. Have you seen anyone wearing the device lately? Me neither. Now Time magazine puts forth the idea that Glass may not be such a tech darling after all. It makes for good reading & I highly recommend checking it out. On Friday I had the very great honor of speaking to about 80 wonderful doctors and team members at the CDE World in Boston. Despite the threat of ugly wintery weather (which never occurred), we had a great turnout and a really great event. As I do events based on the concept of 3D and what it can do for dentistry and today's dental practice, I'm amazed by both the amount of interest I'm seeing from doctors and also the amazing tools the industry is creating to harness the power that 3D provides. From things like virtual treatment planning on implant cases to digital impression systems that will now interface with milling units, 3D isn't just cone beam any more. The category has moved on to become a huge piece of dentistry and is quickly becoming a major piece of the market. My thanks to those who attended on Friday. It was a great event and I met some really great people! Here is some interesting info from DentalEZ. If you happen to use any of the company's Star Dental products, this should be of interest to you. 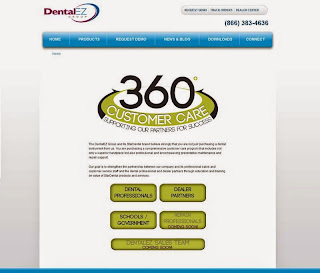 Malvern, PA (November 13, 2014) – DentalEZ® Group, a supplier of integrated products and services for dental health professionals worldwide, is pleased to introduce its new 360° Customer Care Program, a comprehensive online customer service tool for all StarDental® customers. Located at www.dentalez.com/360customercare, the new 360° Customer Care Program is an extension of DentalEZ Group’s professional and preventive maintenance and repair support program. Geared toward all dental professionals and distribution partners, the 360° Customer Care Program provides a newly designed repair support program that provides instantaneous labels for repair requests as well as a comprehensive collection of educational and training resources for all StarDental products. A key feature of the 360° Customer Care Program is a new repair request form that provides an efficient, no-hassle method of requesting repairs on any and all StarDental products. Designed for a fast, user-friendly experience, the repair request form provides convenient drop down menus for identifying and immediately reporting the specific product, repair type and problem. Users simply fill in the information, print the repair request form and press the submit button. A prepaid UPS label is available to be shipped along with the repair form and product being sent for repair. 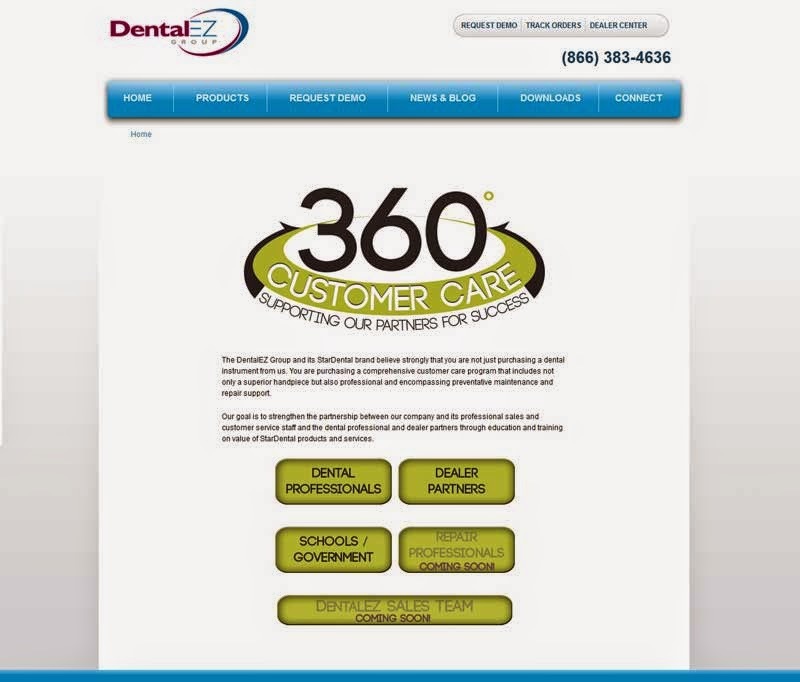 For more information on DentalEZ’s new 360° Customer Care Program, please visit www.dentalez.com/360customercare. and efficiency of the dental operatory. For more information, please visit www.dentalez.com. We're all familiar with Siri and now we are seeing lots of TV ads for a new app "Hey Google". 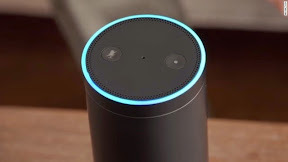 It seems that more and more, big tech companies are creating devices or software (or both) that listen to our voices and then do what we ask. The latest is Echo from Amazon. The idea that Amazon is hoping to tap into is using Echo to control your Smart Home. Imagine dimming your lights or changing your thermostat just by asking. This kind of tech is coming and several companies are wanting to help with it. Interested? I know I am. CNN has a great article on the subject and its devices. Check it out! This Friday, November 14th, Dr. Lisa Koenig, Dr. Kaveh Ghaboussi, and myself will be doing an all day event that will feature all kinds of information, tips, and tricks on using Cone Beam 3D Imaging to improve your clinical dentistry and to improve your patient outcomes. We've been having a blast doing these types of events this summer and this fall and this event promises to be another really great event. Dr. Koenig is an amazing teacher and a really bright oral and maxillofacial radiologist who will provide valuable information on the clinical advantages that can be discerned from a CBCT scan as well as radiation dosages and other data that is important to the practitioner that is currently using or looking to expand their office with cone beam technology. Dr. Ghaboussi practices in Madison, Wisconsin and will cover the story of how he implemented 3D dentistry into his office and the impact it has had on his practice, his staff, and his patients. I'll be kicking the day off with a bit on why I'm such a believer in cone beam images and then I'll be closing the day with a discussion of how imaging, in all its forms, has completely changed the way we diagnose, treat, and meet our patients expectations with the best possible clinical outcomes. Come on out and spend a day learning about the very leading edge of clinical dentistry and imaging. For complete course info and to register, just click here. We all know the secret to keeping our online information private is to develop very strong passwords, don't use them on more than one site, and keep them stored somewhere where others can't see them or find them. Every time there is a major hack of some site somewhere, there is a flurry of activity as many of us begin trying to obey the rules to the best of our abilities. Of course one of the scariest part of this is "where do we store all of those passwords?" I mean, if we store them in a Word or text document online, you just run the risk of having someone hack that account or Cloud folder and then ALL of your info is in the hands of the bad guys. You could also write it all down on a piece of paper, but that could be stolen or what if the physical location where you store it were to burn down? How do you get that data back? Each scenario brings with it its own problems. One solution that came across... and like, is the Mooltipass. It's a device I came across on Indigogo that is looking for investors. The device has beauty in its simplicity. It basically is a device that can automatically create strong passwords and then store them in a password protected device that is portable. Personally, I like the idea of this and think, while it doesn't solve *every* problem of security, it does a pretty good job of solving most of them. If you would like to order one, head on over to the Indiegogo website. We therefore created the Mooltipass, a physical encrypted password keeper that remembers your credentials so you don't have to. With this device, you can generate and safely store long and complex passwords unique to each website you use. A personal PIN-locked smartcard allows the decryption of your credentials and ensures that only you have access to them. Simply visit a website and the device will ask for your confirmation to enter your credentials when login is required. Plug the Mooltipass to your computer/tablet/phone. No driver is required. Insert your smartcard, unlock it with your PIN. Without the PIN, the card is useless. Visit a website that needs a login. If using our browser plugin, the Mooltipass asks your permission to send the stored credentials, or asks you to save/generate new ones if you are logging in for the first time. If you are not using the browser plugin or are logging in on something other than a web browser, you can tell the Mooltipass to send the correct login and password. It will type it in for you, just like a keyboard - so it can be used anywhere! As someone who lives and dies with an iPhone in my hand, I have one major complaint about the device. It is the fact that the iPhone does not have a replaceable battery. Back in the day, I was an Android guy and I really liked the fact that when I ran low on juice, I could just pop in a new fully charged battery and continue to use my phone. It's amazing to me that when I go to dental conventions, iPhone battery life becomes a topic of discussion. Often at major meetings, many of us who speak and write will get up early in the morning, go to the show where there are either lectures to give or meetings to attend. You go at a tremendous pace all day and the moment the show closes for the day there are cocktail receptions and dinner meetings to attend. Often you get up at 6:00 in the morning and fall into bed at 11:00 at night only to repeat the process the next day. Often times, when the show is closing and the dinners or cocktail receptions start, you begin to hear people complaining that "my iPhone is just about dead" or "my battery just hit zero". A strong day's use leaves many with no phone as the evening begins. Our phones have become so powerful and do so much in the background that we burn through batteries at an alarming rate. Unfortunately, since iPhones don't have the advantage of snapping in a spare battery, we run the risk of them going dead at the most inopportune time. Heck, there has even been a new industry created around this problem as companies create battery systems to help keep dying iPhones powered up. Entering this market is a product from UNU called the Superpak. The Superpak is the world's smallest 10,000mAh battery. That means, despite its small size, it can charge iOS devices up to 2 times faster than most of chargers on the market (and that is a big deal). The Superpak has software built into it that allows it to sense what device is plugged into it and that allows the battery to adjust its charging capabilities to that particular iOS device. Cool! If you'd like more info or are interested in purchasing one, you can have your very own for $39.95 and can order it from the company website. I've said it many times before, but it's because I mean it. I really, really love teaching!!! The tough part about lecturing is the travel, but the fun part is the interacting with audiences and learning from those who attend my lectures. I truly get so much from those who attend that it makes all the travel worthwhile. A case in point was the course I gave today in Wilmington, DE. I'm always honored to give a lecture for Ultradent. It's a great company full of great people, but I had an absolute blast with the folks who were gracious enough to attend. I had a great time and really enjoyed the camaraderie as well as the ideas that folks tossed out over the day. Thanks to all of you who attended. You were upbeat, friendly, and really made my trip worthwhile! I've been a member and a big fan of Amazon Prime for a few years now (Thanks Ben!) The best part? It just keeps getting better!!! There's a reason that I truly feel that Jeff Beezos (the man behind Amazon) is the next Steve Jobs... and this is just one of those reasons. Earlier this year, Amazon upgraded the music portion, giving me access to tons of music that I can access online without even paying for it. Cool! They also have given me access to lots of video from their video archive that I can access (once again for free) just because of my membership. 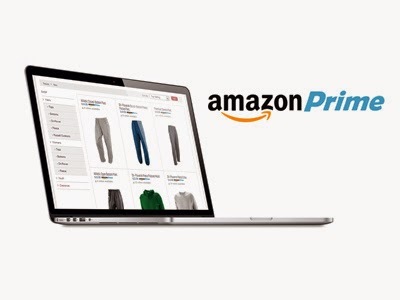 Introducing Prime Photos: free unlimited photo storage in Amazon Cloud Drive. With Prime Photos, you have a simple, secure and convenient place to store all your photos. Save them once and access them anytime you're online from almost any device, including from all Fire devices. It's easy to use your free unlimited photo storage. Continue using your existing Cloud Drive storage space for videos, docs, spreadsheets and more. Add photos from your computer by visiting Cloud Drive on the web or download the app for PC. Get the Cloud Drive Photos app on your iOS and Android devices to save even more photos from your phone and tablet in the cloud. Photos will no longer count toward your Cloud Drive storage quota. Start saving your cherished memories--it's free with your Prime membership. n addition to your free unlimited photo storage with Prime Photos, all Amazon customers also get 5 GB of free Cloud Drive file storage for docs, videos and more. Kansas City is the home for one of the biggest players in the Electronic Health Record business. Cerner has been around since the 80's and has grown exponentially over that time. My family has owned a commercial printing business in the Kansas City area for since the very early 80's and at one time (when they were just a small startup) Cerner was one of their customers. In my college years and on into my dental school years, I worked in the family business and did whatever I could to pitch in. Often times that meant I was driving a delivery truck when I wasn't physically in the UMKC School of Dentistry. During those days I spent a great deal of time with the folks who formed the core of what Cerner would grow into. Heck, I even remember a Christmas party in a nice restaurant in the Plaza area of KC sitting at a small table with Neal Patterson who was & still is one of the brilliant minds that created the company. That's how small they were back in the day. Well those days are past & now Cerner is a very, very serious force in the EHR arena. For those of you who, like me, are in dentistry and in the trenches day after day. You, like me, are probably often frustrated by the lack of camaraderie in the dental software & hardware industry. I mean, why can't I use the sensor I want with the software I want & it all works like it's supposed to? Those kinds of things cause huge amounts of angst for lots of doctors & staffs every day. You know what? It even bothers people in the industry. It *even* bothers people who are highly successful and make tremendously important decisions in the industry. For proof of that, take a look at this article from my hometown newspaper the Kansas City Star. It's about Cerner's founder Neal Patterson & his take on how & why EHR companies should work with each other instead of against each other. I think you'll really enjoy the article.